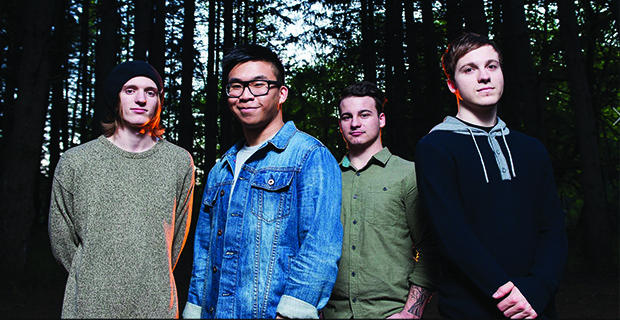 Even though Alive In Standby have been together for over four years, they are just now getting around to releasing their debut full-length album. With that being the case, they still earned themselves a dedicated fanbase with the stellar singles (and EP) they’ve dropped over the years. After four years of hard work and dedication, the band will be releasing Never Ending this coming Tuesday, July 29. As a treat for fans, they have put the album up on YouTube to be streamed a little early. Give it a listen below the jump. I’ve listened to the entire album already, and I can say that any long time fan of the group will immediately notice a difference in sound. They sound much more pop punk now than they ever have, and the screaming vocals are merely a distant memory. I was hoping to hear a similar sound to Dream Status, but even without that the album is still a great listen.